1. John C. Fitzpatrick, ed., The Writings of George Washington from the Original Manuscript Sources, 1745-1799, 39 vols. (Washington: U.S. Government Printing Office, 1931-1944), 35:227. 2. Daniel C. Diller, “Biographies of the Presidents,” in Guide to the Presidency, Third Edition, 2 vols., ed. Michael Nelson (Washington: CQ Press, 2002), 1559-1561. 3. 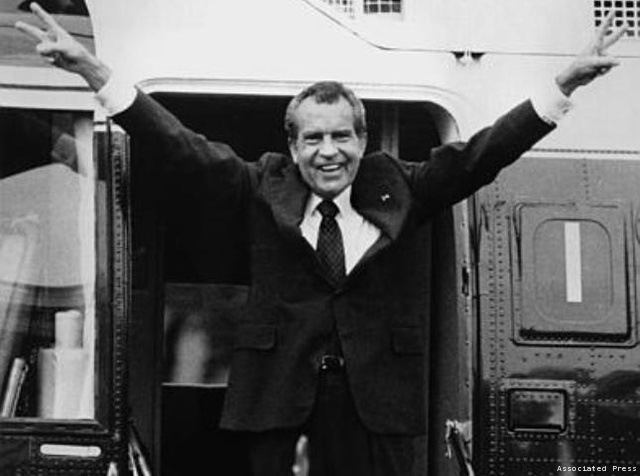 Richard Nixon, The Memoirs of Richard Nixon (New York: Grosset & Dunlap, 1978), 315. Richard Nixon, Speeches, Writings, Documents, ed. Rick Perlstein (Princeton: Princeton University Press, 2008), 163-169. 4. J.F. Watts and Fred L. Israel, Presidential Documents: The Speeches, Proclamations, and Policies That Have Shaped the Nation from Washington to Clinton (New York: Routledge, 2000), 346-350. 5. Ashby Jones, “Fertility’s New Legal Front: In Many States, a Baby Conceived After a Father Dies Can’t Get Survivor Benefits.” The Wall Street Journal, August 3, 2010, U.S. News.